“The Queen was… acclaimed as an extremely gifted poet. Queen Sālote spent many hours perfecting the words of her poems, and she invited groups of musicians to come to the Palace in the evenings to work with her. They often stayed until the early hours of the morning. Poetry that was set to music consisted of love songs (both happy and sad), laments for deaths of chiefs and those close to her, lullabies for her grandchildren, and songs written especially for the accompaniment of dance, such as lakalaka and mā‘ulu‘ulu. Love songs (hiva kakala) were often used as accompaniment to the solo dance for a woman, the tau‘olunga. 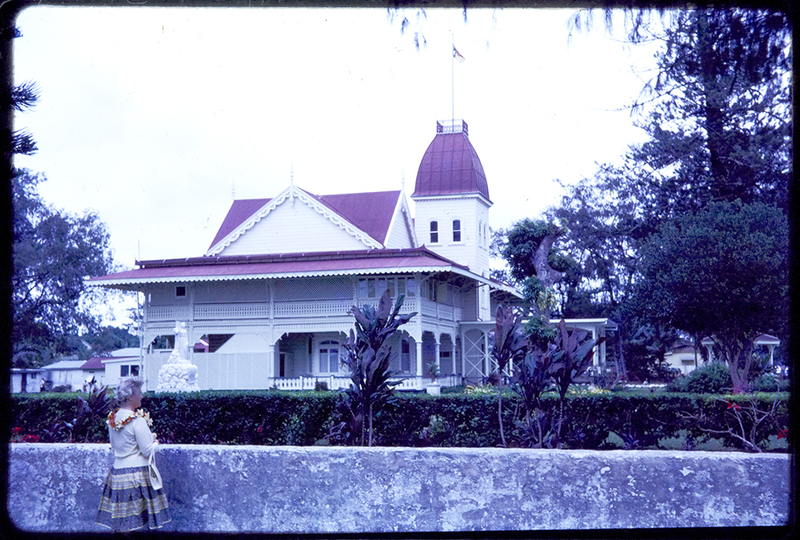 Ref: Stapley Farmer, Queen Salote's Palace, Nukualofa, 1960s, Sir George Grey Special Collections, Auckland Libraries, 1056-363. Lightening flashed from the west. If you want to read more Queen Sālote’s poetry over 100 of her poems are collected in: Songs and poems of Queen Sālote / Sālote Tupou; translated by Melenaite Taumoefolau; edited by Elizabeth Wood-Ellem. There are multiple lending copies available in our system as well as a research copy at Manukau Library. A brief interview with the editor, Elizabeth Wood-Ellem can be heard on Radio Australia’s website. 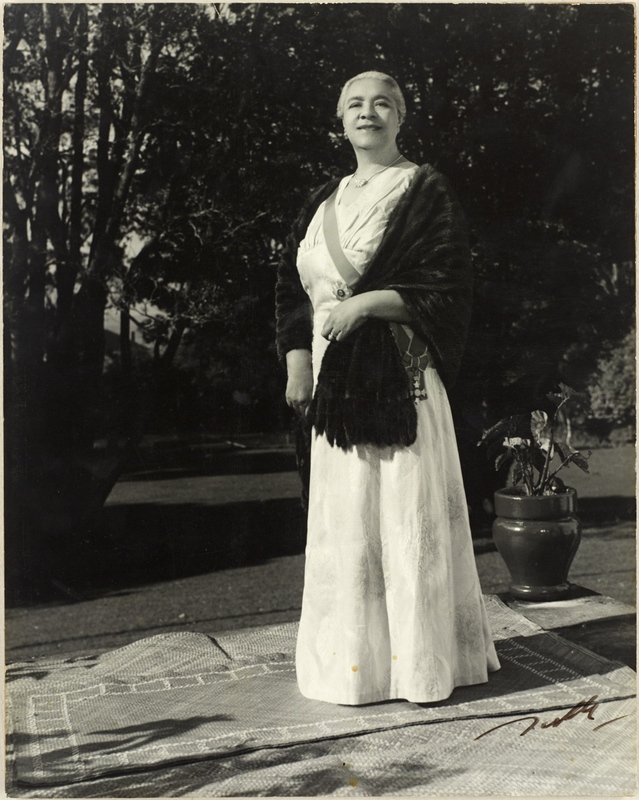 In the other major biography of Queen Sālote, Margaret Hixon writes tha Sālote was recognised as the foremost classical poet of Tonga. For more on Queen Sālote’s poetry have a look at Maryanne Pale’s Creative Talanoa website and Te Papa’s blog. For a summary of Tonga related heritage and research resources available at Auckland Libraries have at a previous Tongan Language Week blog post.